Why Imperial College Business School? 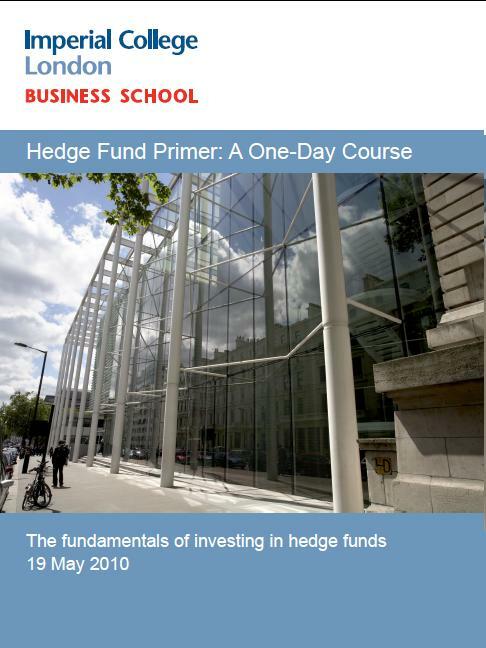 This course is delivered by a leading academic in the field of hedge funds from Imperial College Business School and two experienced practitioners. • What are the Determinants of Funds of Hedge Funds Performance? • How useful is hedge fund replication for benchmarking and risk management? • Which hedge fund strategies are likely to outperform in different economic environments? • What does the future hold for hedge fund replication? • Do listed hedge funds, UCITS III compliant funds and managed accounts present benefits for hedge fund investors that are demanding increasing liquidity and transparency?